The Community Foundation Martin – St. Lucie customizes its services to provide donors with a personalized philanthropy plan. Information and recommendations are tailored to donors’ interests and preferences. Donors may establish several different types of funds with The Community Foundation. Funds may become active during their lifetime or upon their passing. The type of fund established is determined based on the goals of the tailored philanthropy plan. These funds are established to support a specific charitable organization identified by the donor. If the named charity no longer exists, another organization with a similar purpose is selected by The Community Foundation Board of Directors, with the donor’s or the donor’s successor advisor’s advice. Created by non-profit organizations as a means of protecting their charitable dollars for the future to ensure a source of annual support for their programs and operations. These funds are invested over a long period of time and grant making is limited to a percentage of the annual earnings of the Agency Endowment Fund. Donors trust The Community Foundation with decisions about the charitable use of funds. Contributions to the Common Good Fund are flexible and allow grantmaking that is responsive to emerging and changing community needs. Community Funds enable donor support of a broad area of need, such as the arts, health, education, elderly, and the environment, with the Community Foundation establishing an application process that guides the selection of specific grant recipients. These funds are established to support specific charitable organizations identified by the donor. 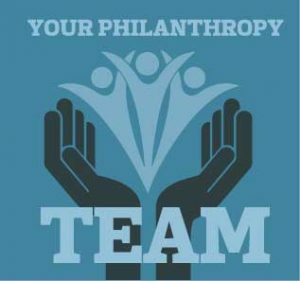 If the named charity no longer exists, another organization with a similar purpose is selected by The Community Foundation Board of Directors, with the donor’s or the donor’s successor advisor’s advice. Donors participate in grant-making by suggesting charitable organizations to receive grants. The Community Foundation serves as a personal philanthropic advisor by assisting donors with receiving and evaluating grant requests, as well as connecting donors with potential grant recipients, needs and projects. These funds allow a donor or group of donors to support a broad area of need such as the arts, elderly, education, animal welfare and health, with the Community Foundation playing an active role in the selection specific grant recipients. Scholarship funds can be designated for any level of education as well as a particular school or field of study. Scholarships may be used for trades and vocational education. Donors may also choose eligibility requirements. The Community Foundation assists the donors with the application vetting and selection process. As the Foundation looks to the future, the operational endowment will provide for the care and tending of the Foundation and allow the Foundation to reduce or eliminate Philanthropic Advisor Fees.